Why choose a Kamloops web design company for your next project? These days, there’s certainly no shortage of website designers, in Kamloops -or anywhere else in BC for that matter. With so many choices, not to mention an abundance of technology that can help those tech savvy businesses build websites all on their own, it’s a wonder how any Kamloops website designers can even make a living. Website design itself certainly isn’t terribly technical, but if you’re reading this, perhaps you’ve already explored the DIY option and decided it just wasn’t your thing. We can help. All of us know that certain someone in the family that can build a website for little more than a couple hundred dollars. Maybe your techno-nerd cousin owes you a favour and has generously offered to build you a so-called ‘basic website’ for almost nothing. These affordable web design solutions, as tempting as they may be, do little more than occupy kilobytes in cyberspace. Cheap websites, or so-called affordable web designs, will typically contain poorly written content, and will ultimately have a tough time justifying any ROI for your business, regardless of how little you spend. Professional website designers have the skills and know how to provide your business with a professional image, drive web traffic, and ultimately get the phone ringing. After all, what good is a website when nobody can find it using keyword searches online? Don’t be fooled, if you build it, they don’t necessarily come, without a search engine marketing plan, or at very least, a well optimized website design. You know the painful, squint-eyed face sales people make when you ask “how much” something is going to cost? Getting answers to questions about website design rates from some Kamloops web design companies can be an unpleasant experience. Some will want meetings; others will instead ask you for a budget, but mostly the answer will be “it depends”. While we don’t make claims to be the lowest price in Kamloops, we certainly don’t shy away from these questions. 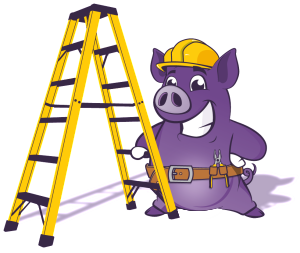 We understand that most businesses are after the best overall value and not necessarily the cheapest quote. As our past clients can attest, we can portray your brand messaging the right way. Our website designs are clean, beautiful and offer outstanding value. We’re a locally owned and operated website design company and we love helping Kamloops businesses succeed. Maybe not. Every web designer will say you do, but there are no hard and fast rules that say a website is for absolutely every business. Certainly, in this day & age, the expectations from your customers are there, however, you can probably think of many Kamloops businesses that do just fine without any web presence at all. As with any initiative you embark on, Internet marketing should fundamentally be about the ROI. While websites and social media channels are great for client communication, they won’t typically generate returns for your company without a strategy to either retain or create new business. Investing time and effort developing a website without a plan to draw visitor traffic could be a pointless venture. Consider how people will come to find their way to your site. If you’re of the mindset that your website will somehow just magically appear in search engine results pages -think again. Ranking for keywords, at the very minimum, will require relevance, proper structure and unique content. Whether you’re attempting to draw traffic locally in Kamloops or globally, you may find it challenging to achieve a top ranking search result for keywords, particularly if your website is new. 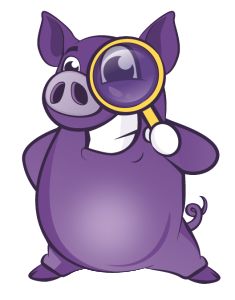 At Purple Pig, we consider your marketable keywords when designing your website. A search engine friendly structure in website design is one of our top priorities and should be yours, too.